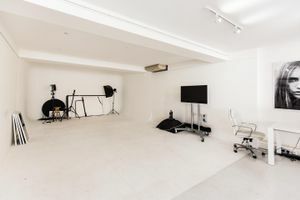 This slick studio space is conveniently located in the heart of Covent Garden, a creative and performing arts hub in Central London. 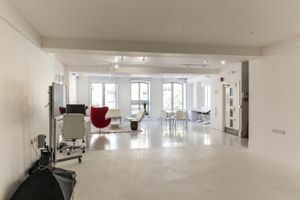 The space is one beautiful open-plan studio space on the first floor totalling 1100 sq ft. 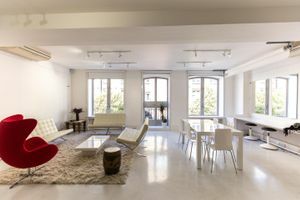 It comprises of an empty, crisp white room with a designated working and seating area. 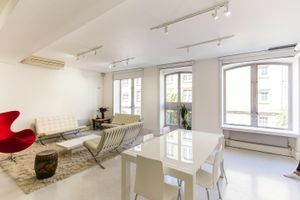 It is well-lit with lots of natural light from three large windows. 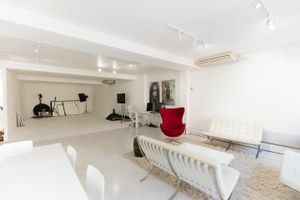 This studio space is equipped with modern, funky furniture, a kitchen and parking outside. 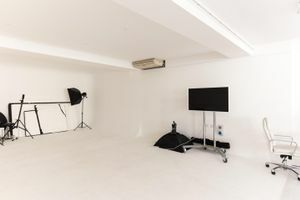 As well as a photography studio, is it also ideal for art exhibitions as picture rails can be put up and showrooms and product launches. It is smart space with a sleek finish complimenting any brand.